In case of any newspaper, it is the front page that creates the most of the impression and that is why you have to go for the best of the newspaper front page template. There are a lot of front page templates that you can have in the internet. 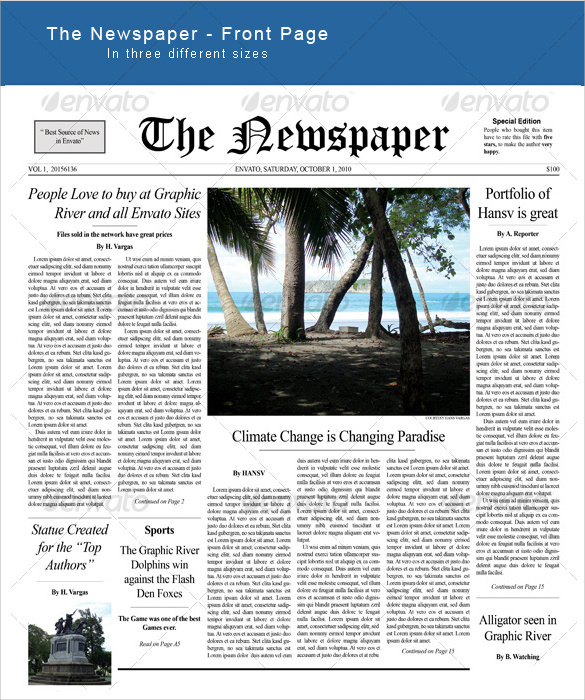 Newspaper Templates are printable as well as fully editable. The best part is that they have a vintage vibe in them and that is why when you are writing any topics related to newspaper, you can use these templates to spice up your writing style to a great extent. 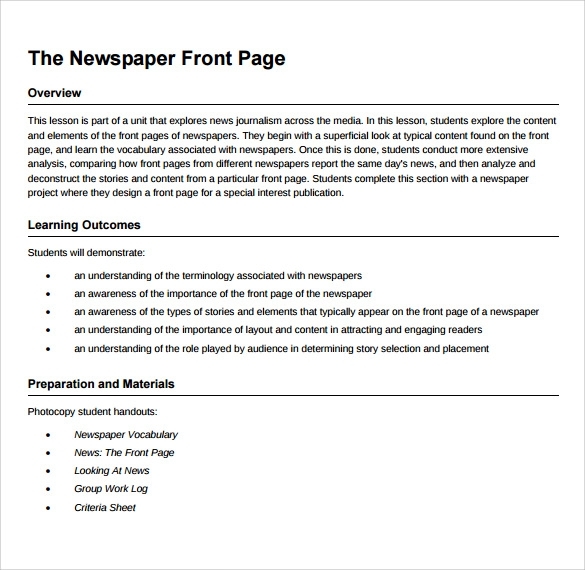 This template is specifically designed to create front page of a college related newspaper or journal. The heading is followed by the school year, the newspaper date, and the news stories to be covered. With funny graphics and designs, this newspaper front page looks attractive to the fun-loving youngsters of any campus. 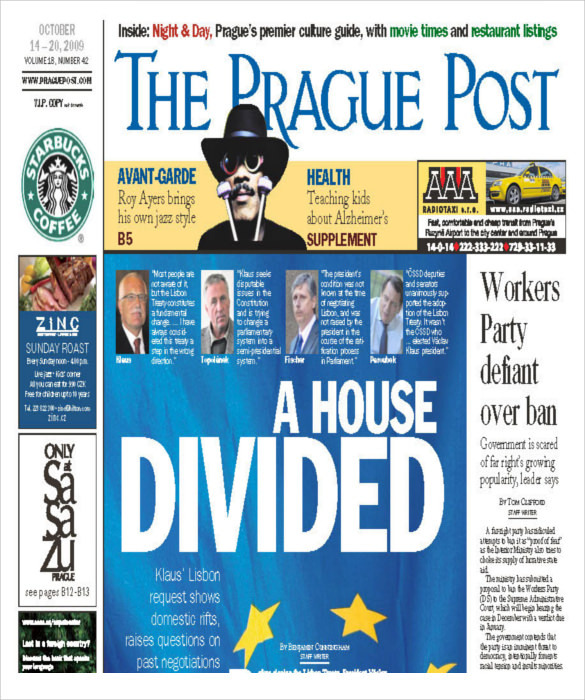 This front page PSD template is a classical front page that you see on a majority of newspapers. With an attractive font and layout, this template looks professional and serene. It is available in three different sizes, which you can choose as per the information to be filled on the page. This is a professionally made newspaper front page template that gives you clear instructions on how to design a newspaper front page. 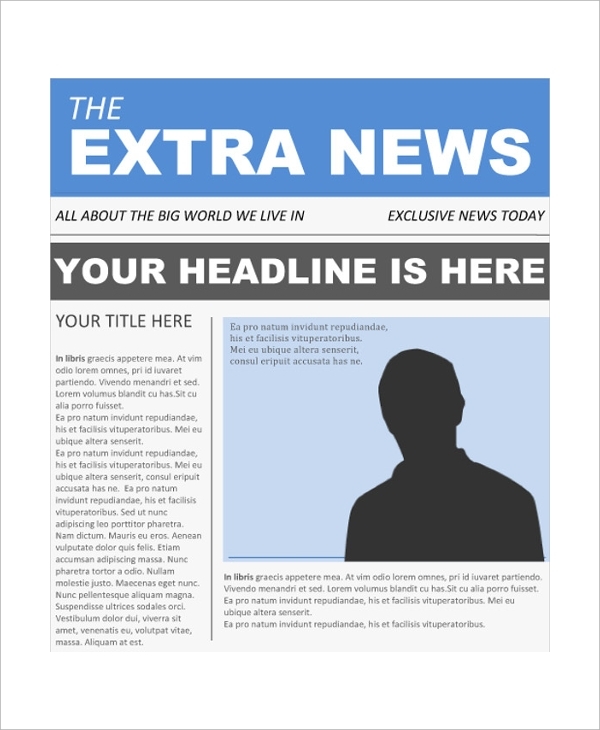 With the help of arrows and descriptions, this template clearly describes each segment of a newspaper front page, including the overview, newspaper name, headlines, main article, lead story, etc. This one is a colorful newspaper front page that goes great with newspapers and journals related to the film industry, classifieds, politics and others. With huge size fonts and attractive graphics, this front page template works great to create a professional yet fun looking newspaper front page. Why Do You Need a Newspaper Front Page Template? The front page of your newspaper creates a big first impression on the minds of your readers. No matter how important and informative your newspaper is, the readers will not pick it up if it does not have an enticing front page. So, if you are printing a newspaper for personal or professional purpose, a newspaper front page template will definitely come to your help. Download any of these templates appropriate to your requirements, and give a complete professional look to your newspaper. You may like Newspaper Layout Templates. 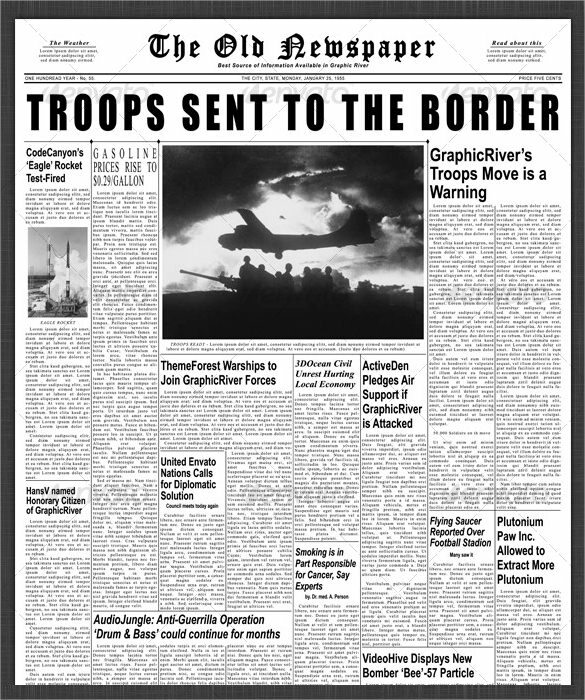 When Do You Need a Newspaper Front Page Template? You need a newspaper front page template when you think about printing a newspaper of your own. If you are planning to print a newspaper and distribute it among your readers, you need to give it an attractive front page. Your readers will not read it even if you hand them out for free, provided that it has an eye-catching front page. The white little boxes placed here and there on the front page will definitely break monotony and make your newspaper front page look smart and attractive. You can also see Newspaper Headline Templates. These templates give you professional advice on how to create a newspaper front page, and make a good first impression on your readers. It saves you time, money and effort to get a front page designed with expertise. A newspaper front page template is highly beneficial in getting a front page designed professionally, without the need to hire any designing expert. All you have to do is to download one of these templates and fill in the required details. Some of these templates give you complete guidelines on how to create a newspaper front page, so that you can do so like a pro.